Saverio Costantino, 84, of Hanover Township, passed away on Friday, October 12, 2018 at the Geisinger Medical Center, Danville. He was born in Calabria, Italy, a son of the late Pasquale and Teresa Pugliese Costantino, serving in the Italy Army. Saverio came to America in 1961. He was a member of St. Robert Bellarmine Parish at St. Aloysius Church in Wilkes-Barre. 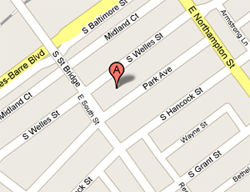 Prior to its closure he had been a member of Holy Rosary Church in Wilkes-Barre. Saverio owned and operated Saverio’s Restaurant & Pizzeria in Wilkes-Barre. He was also employed as a tractor trailer driver; and by the Luzerne County Transportation Authority; Movies 14 in Wilkes-Barre. He was a member of the Sons of Italy, the Italian American Veterans, the Fraternal Order of Police. He was also a 4th Degree member of the Bishop Hafey Assembly and a member of the Knights of Columbus Council 984 of Plymouth. He was preceded in death by his wife, Eugenia Nardone Costantino in 2003 and by his brother, John Costantino and his infant sister, Josephine. He is survived by his children, Teresa Costantino Belles, Hanover Township, Filomena Costantino Covert and her husband, Joseph, Shavertown and Patrick Costantino, Wilkes-Barre and his longtime companion, Ayleen Landon of Dallas; grandchildren, Sara Belles and Joshua Covert; brother, Frank Costantino, Duryea, Gemma Rota, Italy, Catrina Scorpiniti, Italy and Tony Costantino, Whitehall and by numerous nieces and nephews. Funeral services will be held on Tuesday at 10 am from the Nat & Gawlas Funeral Home, 89 Park Avenue, Wilkes-Barre, with a Mass of Christian Burial to follow at 10:30 am in St. Robert Bellarmine Parish at St. Aloysius Church, Barney & Division Streets, Wilkes-Barre. Interment will be in St. Mary’s Cemetery, Hanover Township. Friends may call on Monday from 5 – 8 pm at the funeral home. 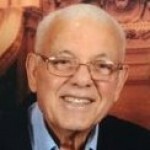 Online condolences may be sent by visiting Saverio’s obituary at www.natandgawlas.com.